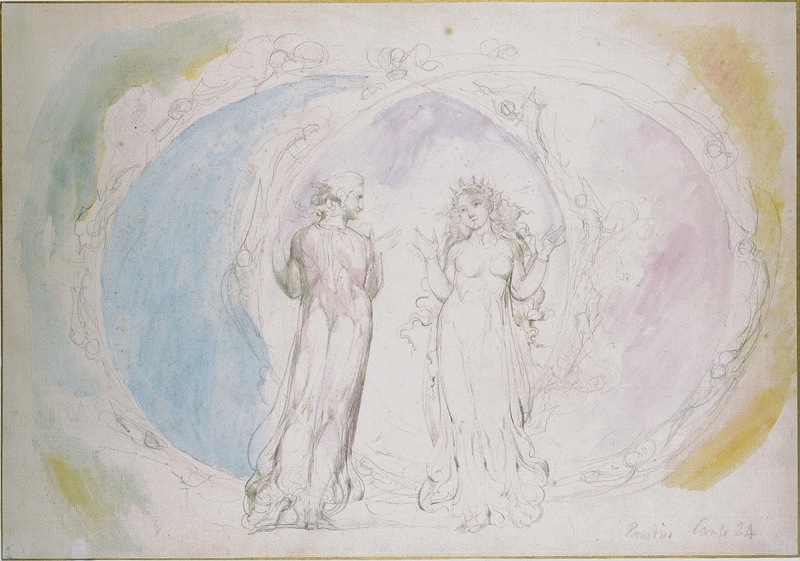 Dante and Beatrice from the Divine Comedy, as depicted by William Blake. Source. 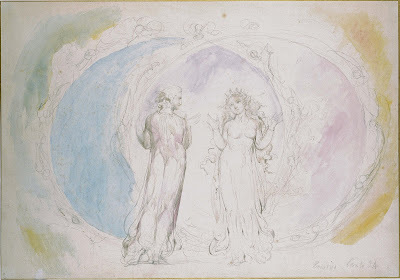 William Blake's grave location was recently found again, and Higgs will show up for the scheduled unveiling of a new gravestone for the poet: 3 p.m. Sunday August 12, Bunhill Fields, 38 City Road, London EC1Y 1AU. The William Blake Society lists Philip Pullman as president and Neil Gaiman and Alan Moore as patrons.